In the postwar metropolitan Washington region, a group of architects with offices in Washington DC helped define the regional character of Washington’s contemporary architecture. Described as the Young Turks for their revolutionary break from the architecture of the past, many of these architects designed suburban scale houses and public buildings in Montgomery County yet also worked on larger-scaled projects in the District, including urban renewal of Southwest DC. 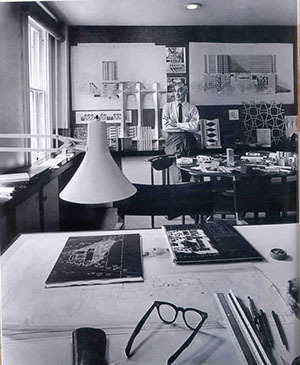 Van Tuyl Hart Bien (1887-1960) was an architect whose projects modernist schools, as well as Colonial Revival. An article by Clare Lise Kelly appeared in The Montgomery County Story, December 2013. You may read the article here.